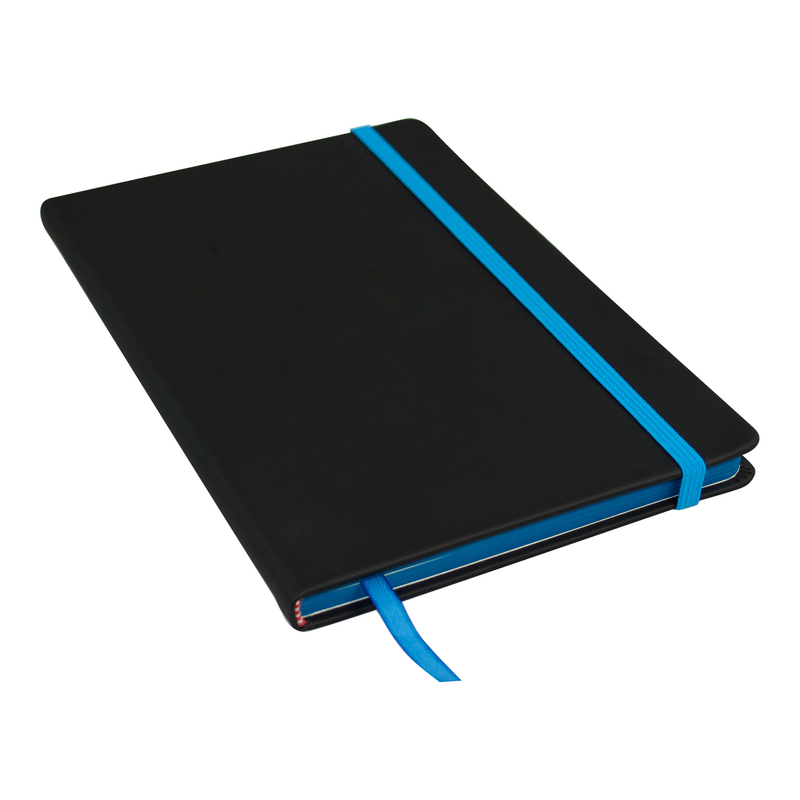 A5 journal hardcover notebook with soft handle finish and coloured edge pages. Includes 80 ruled pages. Supplied in polybag. White, blue, green, red or orange.